Opposition is growing to proposed federal tax changes among entrepreneurs and business organizations. In July, federal Finance Minister Bill Morneau announced several proposed tax changes. Small-business owners across the country have denounced them, saying they will have a devastating impact on their enterprises. The proposals seek to eliminate or restrict tax-saving measures such as sharing income with family members, saving passive investment income in a corporation and converting a corporation’s income into capital gains. 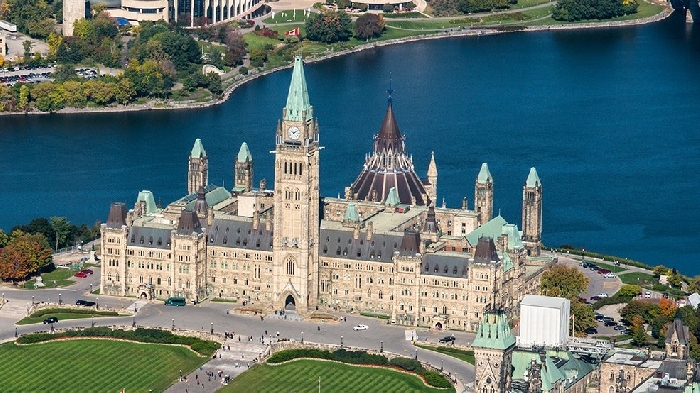 Dan Kelly, president and chief executive officer of the Canadian Federation of Independent Business (CFIB), said his organization is working around the clock to mobilize local business owners to pressure their local MPs. Kelly said the issue comes at a time when shifting policies from other levels of government are increasing the cost of doing business through measures such as minimum-wage hikes and carbon taxes. “The degree of anger to their governments is close to an all-time high,” he said. The Department of Finance is accepting feedback on the proposals until Oct. 2. At his July 18 news conference announcing the tax proposals, Mr. Morneau said the government wants to prevent business owners from using tax strategies that aren’t available to other Canadians. Perrin Beatty, president and CEO of the Canadian Chamber of Commerce, said the consultation period needs to be extended so people can be better informed about the proposed changes and make themselves heard. He said the group is working with a coalition of businesses and groups across the country to mobilize and plan its opposition. He says he can’t recall a time when so many people were so irate over a specific government policy. “It is genuinely a popular revolt that you’re seeing in communities across the country,” said Mr. Beatty, adding that the Chamber of Commerce will utilize its network of 450 local chambers to reach out to MPs. There are also 1.3 million businesses in Canada ranging from farms to restaurants to carpenters to retailers. Kelly said petition-style campaigns, advisories to CFIB members to contact their MPs directly and video content are being used in an attempt to persuade the government to change its mind. “We tried not to react too heavily too quickly because we needed to make sure that we understood what the implications were to our members. That’s taken some time,” he said. Several weeks ago, STEP Canada, an association of trust and estate professionals, held an all-day meeting in Toronto to develop the framework for multiple submissions to the Department of Finance. Among the 70 attendees were representatives from Advocis, the Canadian Bar Association, Canadian Federation of Agriculture, Canadian Life and Health Insurance Association, Canadian Real Estate Association and the Chartered Professional Accountants of Canada. Fiona Cook, executive director of the Grain Growers of Canada, said the organization is very concerned about the issue and will take some time to do an economic impact analysis. David Taras, professor of communication studies and the Ralph Klein chair in media studies at Mount Royal University, said the Liberals are paying a steep political price over this issue and handing Conservatives a platform on a silver platter. Indeed, Conservative deputy leader Lisa Raitt has been meeting with small-business owners and says she plans to raise awareness about the issue. “Any time a politician raises taxes, especially among a group of wealthier, better-educated, more attentive voters – people who are likely to vote and likely to participate and likely to give money – there’s usually a penalty to pay for that,” Taras said.